We Offer Incentives For Out-Of-Town Clients! 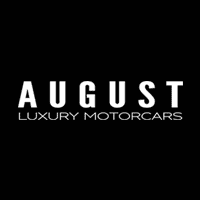 There’s a reason why August Luxury Motorcars in Kelowna, BC has consistently been the most awarded luxury and exotic car dealership. With our incredible inventory and competitive pricing, big cities like Vancouver, Calgary, Edmonton, and Toronto are no longer your only options. With just a quick flight to Kelowna, you could be at August Luxury Motorcars, home to the Okanagan’s largest selection of pre-owned luxury vehicles, exotic cars, and much more. In fact, we have sold vehicles to clients across North America thanks to our nation-wide shipping solutions. The Perfect Vehicle is Never Out of Reach. We strive to go beyond the purchase and deliver unforgettable experiences with all of our vehicles. The Okanagan is renowned for some of the best sights, roads, destinations, and events in Canada, which makes it the ideal place to pick up your new vehicle, no matter whether you’re a foodie, wino, or adventure seeker. Those who qualify for our unique out-of-town incentives, compliments of Team August, will receive flights, accommodation in some of our city’s finest suites, and tickets to some of the best events and attractions facilitated by the August Care Team. At August Motorcars, we’re a next-generation team of car enthusiasts with a passion for anything with four wheels. Alongside this passion for cars, our team is also highly educated in every step of the sales process from start to finish ensuring our clients receive only the highest level of care and attention. We take a different approach to the car buying experience by providing a casual yet professional purchase atmosphere with attention to detail being our priority. We strongly believe in building lasting relationships for years to come. If we don’t have a vehicle that’s perfect for you, consider filling out our wish list notification. With an industry-leading vehicle sourcing program, you will be the first to know when we have something that’s just right! Let Us Help Find the Perfect Vehicle! August Luxury Motorcars is proud to offer some of the rarest and most sought-after vehicles to our clients. We also offer shipping throughout North America as well as complete cross-border brokerage services. Let us take care of the details!